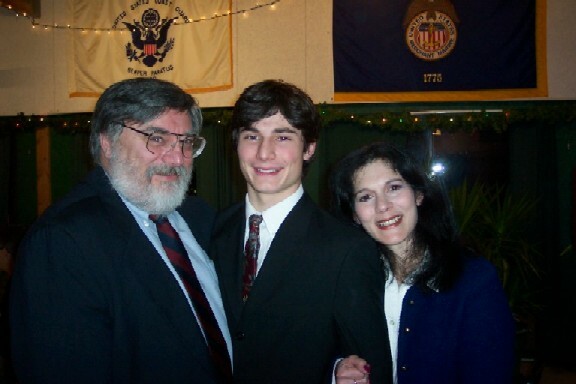 The 2003-2004 theme is "My Commitment to America's Future." Ron Schneteger is the post VOD. chairman. 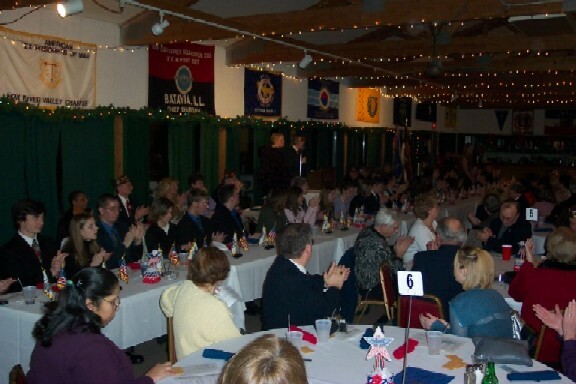 The annual VFW 19th District Voice of Democracy awards banquet was held at VFW Post 1197 in Batavia, IL. on January 10, 2004. Our repeat Post 503 winner was Michael H. KaWaters, having won the post contest for the second year in a row. Michael's submission placed 4th in the 19th District judging. 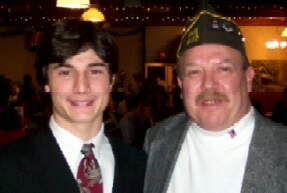 Batavia Post 1197 VOD awards banquet (Post Winners Table) Michael at far left.